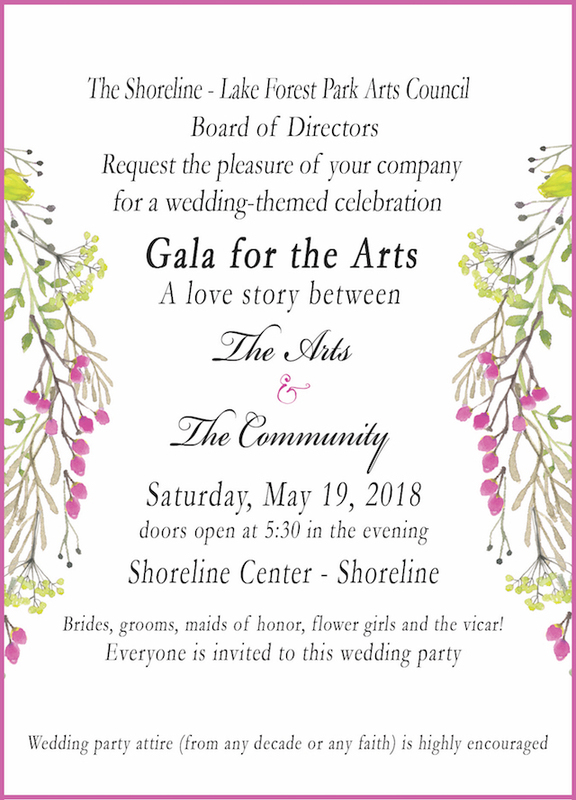 Tickets are on sale now for the Shoreline-Lake Forest Park Arts Council Gala for the Arts on May 19 at the Shoreline Center. The Gala promises to be a fun and entertaining evening celebrating the arts in our community. Support what you LOVE and come be a part of the Gala for the Arts. More information or purchase tickets / make a donation here or contact Tara. What an opportunity to wear all those brides'-maids dresses!